will be released on 4/30 (Tue.)! 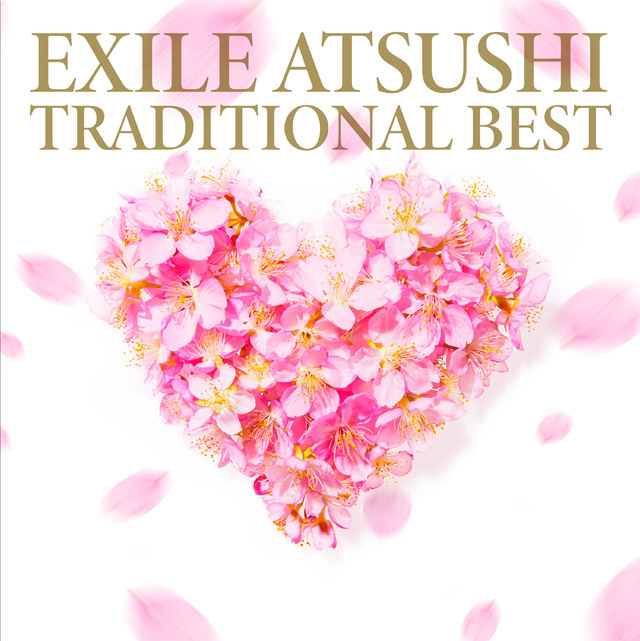 EXILE ATSUSHI's latest photos and cover image of the album "TRADITIONAL BEST" scheduled for release on 4/30 (Tue.) have been unveiled! Moreover, additional songs and music videos will be included. All the recorded content of "TRADITIONAL BEST" has been announced! The additional songs that have been included are "Warabigami", originally sung by the legendary Okinawa singer Koja Misako, and "Negai" from ATSUSHI's 1st Album "Solo". In 2014, ATSUSHI performed "Warabigami" in the Okinawa show of EXILE ATSUSHI LIVE TOUR 2014 "Music". He hopes that "well-liked children's songs in the Meiji period and the Taisho period as well as popular songs of the Showa period and the Heisei period can be sung in the new era." Based on such a thought, ATSUSHI recorded the song on his album. In addition, the "-C.BECHSTEIN ver.-" of "Furusato" and the "-TRADITIONAL BEST ver.-" of "Ito" are also included in the album after rearrangement. "Furusato" is rearranged with a piano produced by a German company called C.BECHSTEIN, pianos of which are regarded as "the Stradivarius of the Piano". Recorded with the world's best musical instrument, the song "Furusato" was reborn in this "-C.BECHSTEIN ver.-"! This album includes 15 songs which EXILE ATSUSHI keeps singing with love in his heart. These songs also embody "the soul of Japan"! Plus, the DVD contains the music videos for 10 songs including "Negai". ATSUSHI wrote the lyrics for the newly added song "Negai" in the car on his way back home after he sang the celebration song as an EXILE member in the National Celebration for the 20th Anniversary of His Majesty The Emperor's Accession to the Throne 10 years ago. Here is ATSUSHI's message about his thoughts at that time! I sang the celebration song in the National Celebration for the 20th Anniversary of His Majesty The Emperor's Accession to the Throne. And in the car on my way back home, Michael Jackson who passed away a while ago suddenly came to my mind. sparked an idea in my mind. but, as time passes, they become just a glimpse of the past. I became aware of that and felt a sense of responsibility. I must now have a willingness to contribute. It is not enough to just make my own dream come true. I felt so from the bottom of my heart. and now it is my turn to protect the smiles of the children. That were my thoughts. which became a song called "Negai". I do not remember how long it took, but I finished it in a moment of inspiration. it was a special moment when my way of living changed.